Your FAMILY'S SAFETY is serious business! Easily protect your family and home from the hazards of open basement window wells without the need to purchase custom window well covers. Why pay more and wait for custom window well covers when there’s a better solution available today? Custom window well covers can be a costly and time consuming proposition. Why pay more and wait for custom window well covers when there is a better solution available TODAY? We can provide you, the homeowner, with the ability to easily protect your family and home from the hazards of open basement window wells without the need to purchase custom window well covers. Our adjustable aluminum basement window well grate will give you a custom fit without the high custom price or long wait. Open basement window wells are accidents waiting to happen and window well grates are the most effective solution for keeping your home safe. Finding a grate that fits and is reasonably priced however, has been difficult. Why? Window wells (even on the same home) can be slightly different sizes and shapes as a result of the backfilling process. This prevents the creation of standard size grates, and explains why homeowners just can’t go anywhere and buy window well covers that fit. Most grates are made of iron and have to be custom built for your particular well. This customization and required installation, of course, increases the cost. The other major drawbacks to iron grates are that they can block out a significant amount of light entering the basement window well, and are heavy and may require periodic painting. The solution for all of these drawbacks is our patented adjustable aluminum basement window well grate that will fit a multitude of sizes and contours (see Quick Reference Size Chart). Our basement window well grates are engineered from attractive high quality tempered aluminum that will hold up to 400 pounds, yet are light enough to allow for easy basement window well egress from your home. 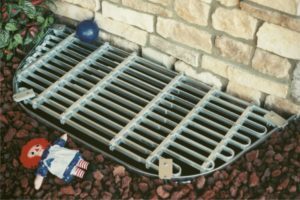 Our grates won’t rust or require painting, are quick and easy to install by yourself, and offer a unique design that allows 90% of the natural light to enter your basement window well. Originally, we started as a custom ornamental iron company called A American Security Door & Window Guard Company. Located in the Denver metropolitan area, we specialized in security products for the home. Due to the fact that we were getting so many customers wanting window well covers we designed and began manufacturing adjustable window well covers. Our response was so great that we subsequently eliminated all other products from our product line. 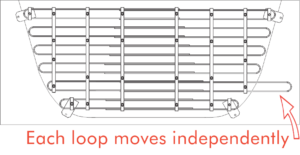 After our patent was issued, we officially renamed our company for the window well grate—Adjust-A-Grate. 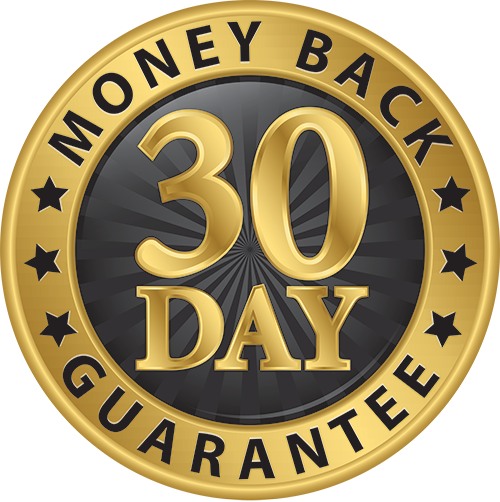 We have since specialized exclusively in basement security and safety products for the past 19 years and counting. Family Owned and Operated in the U.S.A. It truly is our family protecting yours and we are proud to manufacture our adjustable window well covers here in the U.S.A.
Our manufacturing facility, located next to the foothills west of Denver, Colorado, was completed in 2004. This facility increased our manufacturing space so we can continue to focus on supplying the growing need for our patented designed window well covers. We believe that “the race for quality has no finish line” so we are constantly striving to provide a high quality window well cover to homeowners across the country. To date, our basement window well grates, optional security kits and window well escape ladders are the only products manufactured and sold by Adjust-A-Grate, Inc.
Each basement window well (even on the same home) is a slightly different size and shape. Until the Adjust-A-Grate was designed and developed, there was nothing on the market which would allow a homeowner to purchase affordable in stock window well covers that would prevent the hazards created by the large open window wells. Adjust-A-Grate is the only window well cover available that will give a homeowner a custom fit and still be in stock without necessitating special orders or custom window well covers. Travel charges, consultations, installations, estimates, custom fabrication all cost you the homeowner time and money. Our adjustable window well covers were designed for a homeowner to easily install without the added costs or hassles. On each well you plan to cover, you will need to determine the INSIDE DIMENSIONS for the length of the well along the side of the house. In addition, the measurement for the projection out from the house in the center of the well. Use the Quick Reference Size Chart here and select the model of Adjust-A-Grate that is the correct size and shape for the well(s) you have measured. Remember that even wells on the same home can be different sizes. Call us today to place your order. We'll ensure you have selected the model that is best for your well(s). When you call before 2:00 pm Mountain Time we can usually get your order shipped out that very same day. It's that easy! Constructed of lightweight tempered aluminum which will never rust or need painting. Tempered aluminum construction will support up to 400 pounds of static weight yet is light enough for easy exit (Model L6 is only 17 pounds). Open design allows plenty of natural light and ventilation to basement. A 7/16'' wrench, tape measure and pencil or marker are all the tools required to adjust and install the grate. Step-by-step instructions lead you through adjustment and installation. Deters outside entry while allowing easy emergency exit. Lay the grate’s unfolded box over the window well. From the underside, trace the inside contour with a pencil. Place the tracing on table or floor, lay the grate on top of the tracing with the grate’s underside facing up. Adjust the grate to fit the tracing following the step-by-step instructions included, then place the adjusted grate on the well. * Applies To Purchases From Manufacturer Directly. Retailer Return Policies May Vary. 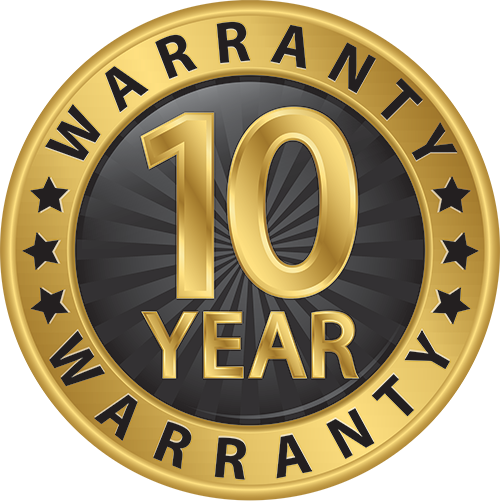 Adjust-A-Grate, Inc. warrants that it will replace any part of this product, that proves defective in material or workmanship within ten years from the date of purchase by a consumer. Adjust-A-Grate, Inc. assumes no responsibility for the results of improper installation or abnormal use. We have been looking at a lot of alternatives for window well covers, many much more expensive. However, these grates work better than we could have hoped. They were not very hard to adjust and when done, look very custom. They sit down in the well just enough and have enough weight that the high winds don't bother them. They also seem very strong. I was able to stand on them and felt secure they would hold. It is nice too, to be able to open the window and not affect the fresh air coming in. I think they will hold up and look good for a long time. Great investment and highly recommended! We have been looking for just the right cover for our basement egress window wells, and this product is perfect. This product is very easily adjustable and installed. It is also very good looking and strong enough for a large adult to stand on it. We now feel much more at ease when entertaining people in the area the egress windows are located. I installed three of these on my window wells. They fit very well, easy to adjust and very strong. I can still open my basement windows and get ventilation. I would not be able to do that with the solid plastic covers . Purchased to keep grandkids from falling in window well. Easy to adjust to size and sturdy enough to support adult standing on it. This window well cover is a better solution than those plastic covers that become brittle and discolored over time. I have oversized window wells with large basement windows that let in lots of light, so I wanted something that would allow light to pass through. These Adjust-a-Grate covers are a little more pricey, but they are built to last. I would suggest this window well grate to anyone who has an irregular sized window well. Just be sure to order the correct size that fits your window well. These will only adjust to the dimensions stated. I ordered this online because it wasn't available at my local Home Depot. I also got free shipping! I purchased this grate for the safety of my grandchildren and neighboring children. It's well worth the peace of mind. The directions are very easy to follow. I'm a very small framed woman in my 50's and was able to install this grate and security kit by myself with no problems. It's lightweight enough for ease of handling, sturdy enough to walk on, and it's a perfect fit! The instructions were very easy to follow and the grate was easy to adjust. We love the sturdy construction and we love the amount of light and fresh air it allows in. This is an ingenious product and works great. I needed a custom extension kit to cover my entire window well and the manufacturer was a dream to work with. Very responsive and they thought of everything I could possibly need to finish the job. It looks great and protect both the inside and outside of my window well. Being a 57 year old woman, I found this extremely easy to install. I now feel more secure in my home. Before the installation, the window was like an open invitation for intruders. I would recommend this product. Just hope it never gets tested by a stranger trying to gain access into my home. The release latch is very easy to use in case I need to get out of my basement through this window. Easy to install. Easy to adjust to fit your dimensions of your window wells. Strong and sturdy. If I ever had to ``escape`` from my basement it would be no problem pushing these covers up and out. I would highly recommend these over any plastic covers that may crack and turn a cloudy dingy yellow in color. My wife and I both stood on these and held our weight without any problem.